It is clearly recognizable that the 3-phase drive system engineering has reached a relatively mature stage of development (cf. Chaps. 1– 8). The principle of the field orientated control also has largely asserted itself as the most used method in commercial systems. 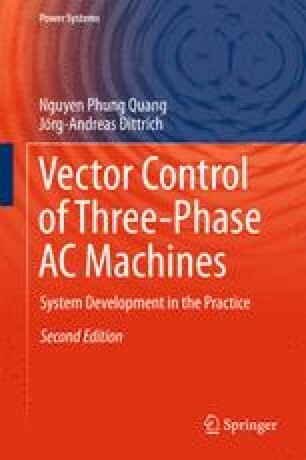 Control applications for AC drives usually feature linear algorithms in spite of the machine itself being characterized by a non-linear process model and of non-linear operating states (limitation of state variables) to master. Control approaches which take into account system nonlinearities from the outset may fare better in a number of circumstances.